Been back from Japan for more than a week now, but what a week it has been. Sorting the 4000+ photos taken during the trip, clearing all the backlog work, including arranging make up lessons with students during their one week term recess occupied almost every day of the week from morning til night. Hardly any time for baking or anything else. But my week is nothing compared to the Japanese people had to go through. The massive earthquake and tsunami that struck the Tohoku area shortly after we’d left devastated tens of thousands of homes in the region and continues to impede the lives millions in abysmal ways. The threats posed by the radioactive leaks from the dysfunct nuclear power stations are still very real. My heart goes out to the Japanese people whom we were briefly acquainted with during the 10 or so days we were there. Though the encounters were brief, impressions are still very vivid and memories endure on. At the same time, we can’t help but feel really blessed to have narrowly missed the catastrophe. 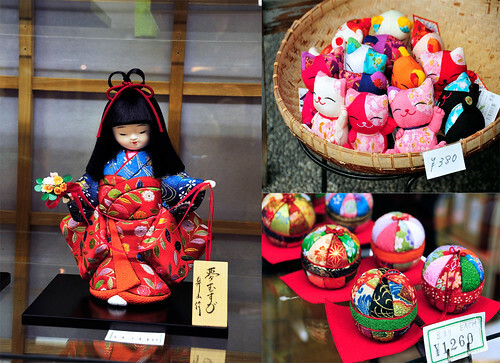 This is our second trip to Japan; our first was in November 2009 to the Kanto region, i.e. 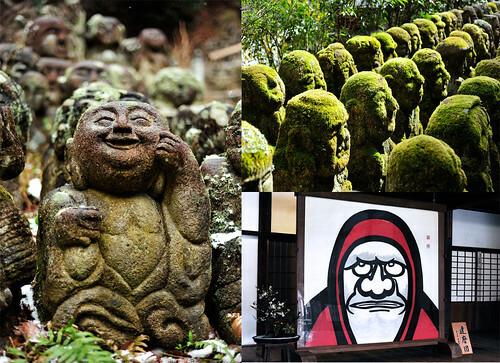 Tokyo, Hakone, Kamakura and Nikko. We missed Tokyo very much and would love to be back there again, but thought it would be good to venture elsewhere as we have much to explore in this vast country with ever-changing geographical and social landscape, and the keihanshin 京阪神 region seemed to be an excellent option. 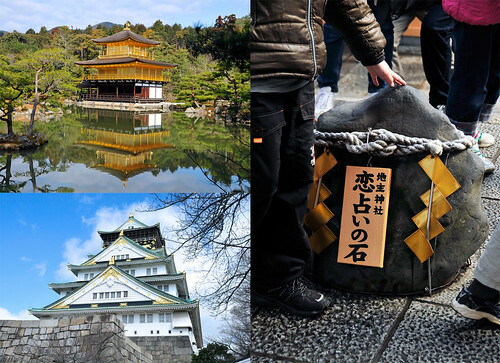 We spent the first two days in Osaka, followed by 3 days in Kyoto and a day trip immediately after to Nara. We came back to Osaka for a day to visit the aquarium and then took another day trip to Kobe. Kobe was an ad hoc thing, decided on the spot but we were glad we made it there. Last day was basically in Osaka doing last minute eating and shopping and finally back home. 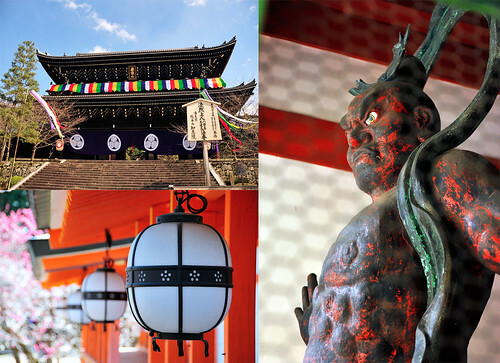 The rich culture of Kyoto and Nara bears such contrast to the modern concrete jungle of Osaka. 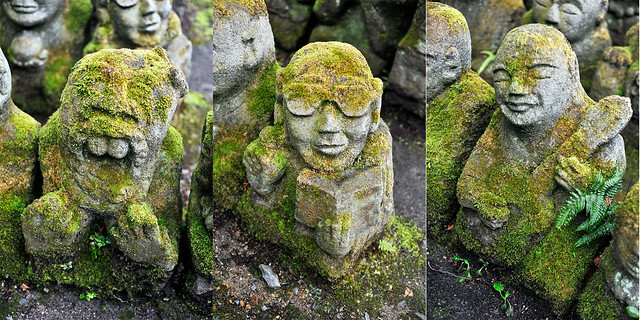 Needless to say, we’d visited many temples and shrines. 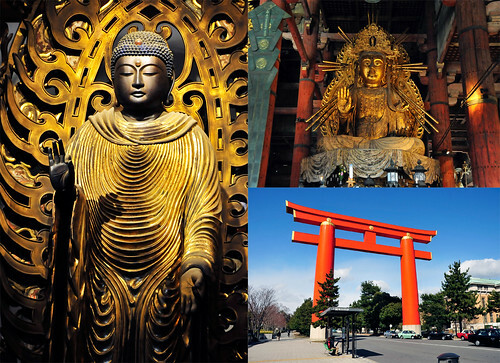 Personally, I prefer shinto shrines to temples. The former are usually dressed in a brilliant vermillion, so colourful and vibrant! 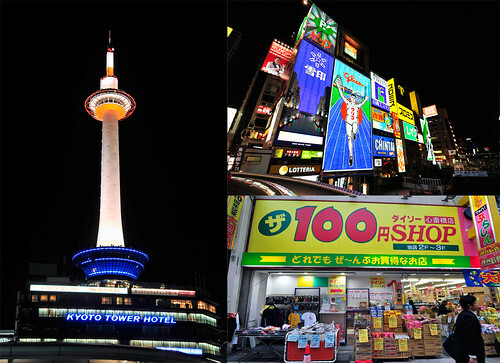 京都铁塔 Kyoto Tower, Dotonbori River, Shinsaibashi 100 Yen shop. 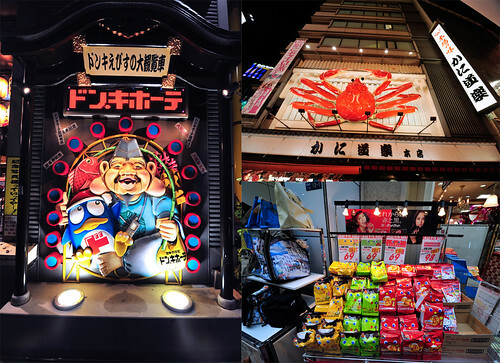 Donki along Dotonbori, Kani Doraku @ Dotonbori and caramel corn @ Shinsaibashi 100 Yen shop. 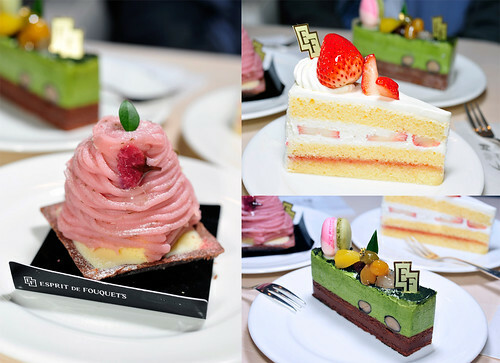 One of the highlights of our trip is the numerous patisseries we’d visited to sample a vast selection of Japanese French-inspired desserts, cakes and mignardises. 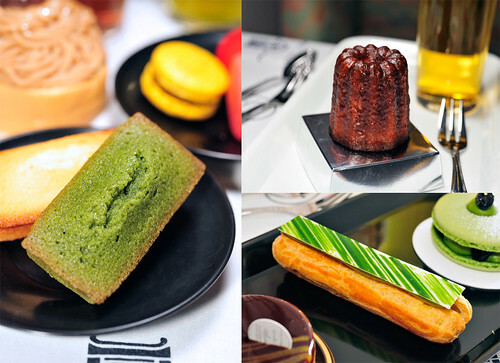 We had cakes almost every day and if not, its either a choux, eclair or financier! 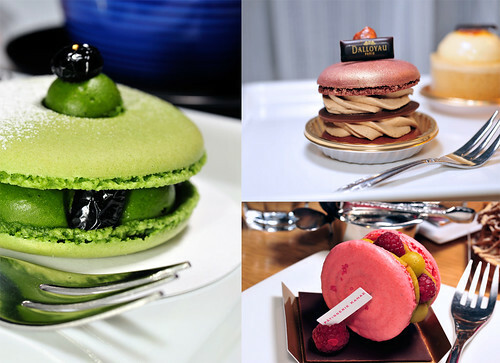 Below is a selection of desserts we’d tasted (yes! many more would follow!) and they are absolutely delightful! 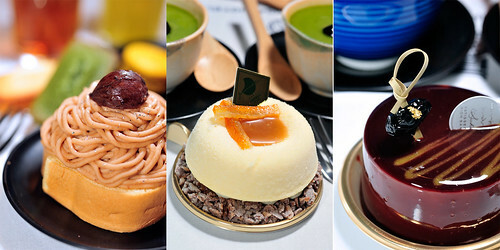 Gin Mont Blanc from Patisserie Henri Carpentier, 円山 from Patisserie Jouvencelle Kyoto Station, Chocolat Yuzu Mousse from Patisserie Gion Sakai, Kyoto Shijo. Cassis Mousse from Wittamer, Saint Marc from Patsserie Mont Plus, Agrume Pyramid from Wittamer. 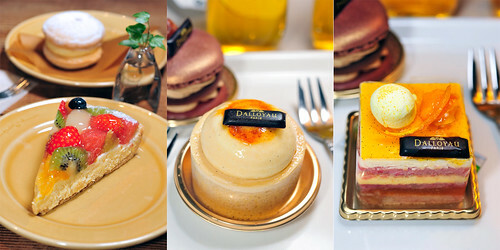 Tarte Meli-Melo from Patisserie ala Campagne Kobe, Tresor and Tendresse de Fruits Mangue Passion Yuzu from Dalloyau Shinsaibashi. 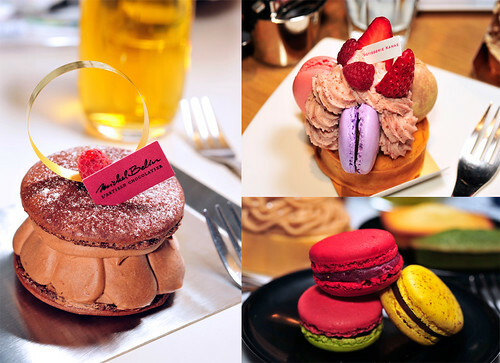 Macaron creations from Michel Belin, Patisserie Kanae and Henri Charpentier. 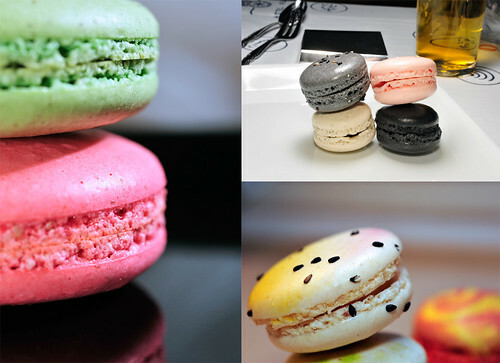 Assorted macarons from Patisserie Mont Plus, Patisserie Kanae and Patisserie Petit Alcyon. 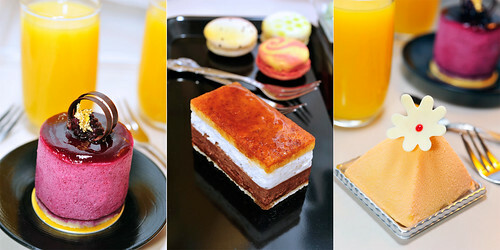 Mignardises from Henri Charpentier, Patisserie Kanae and Patisserie Gion Sakai. 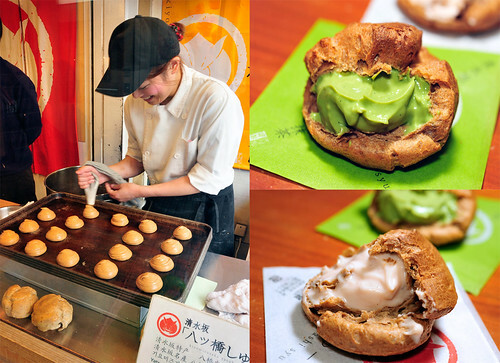 Yatsuhashi Choux at Ninnenzaka, Kiyomizudera. 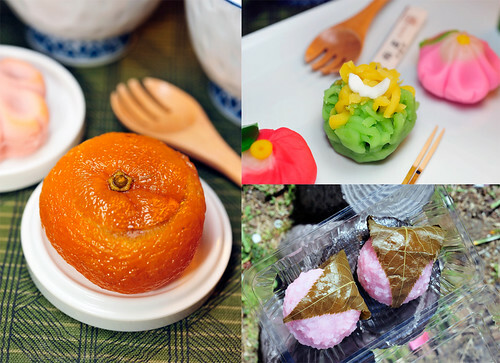 Assorted Wagashi. The candided yuzu with jelly is simply delightful. And then the wonderful people of Kansai. 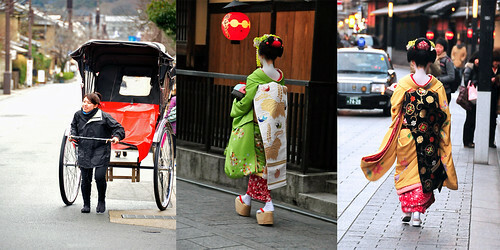 We’d seen rickshaw pullers in Kamakura and Asakusa in Tokyo before but never a lady doing it! 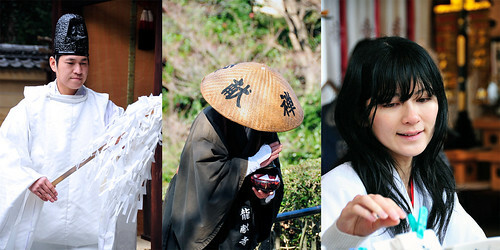 The religious – shinto priest at 平野神社, monk begging alms at 清水寺Kiyomizudera and miko from 地主神社 JI Shu jinja. 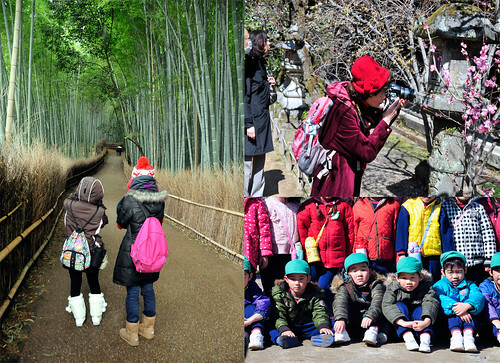 The interesting – Bamboo Grove @ Sagano Arashiyama, old lady photographing plum blossoms at Kitano Tenmangu @ Kyoto, bored children at Osaka Castle. 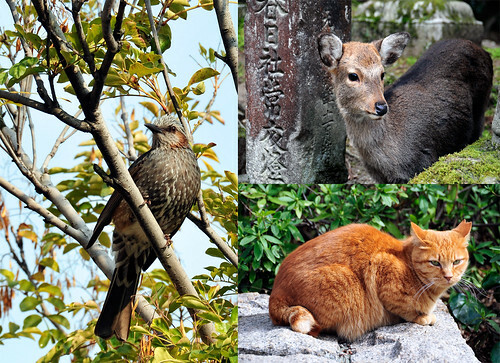 Nature – Brown-eared Bulbul at 大阪天保山 Osaka Tenpozan, deer at 奈良 春日大社 Nara Kasuga Taisha and ginger neko outside 大阪城 Osaka Castle. And no trip is complete without good food! Seafood galore! 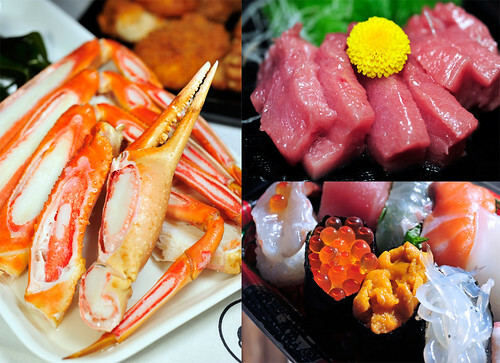 kani aka snow crab, toro aka fatty funa belly, assortment of sushi with uni and ikura, my favorites! that’s all for now folks. Aka datang on the future writeups ! Now its back to kitchen for more baking! 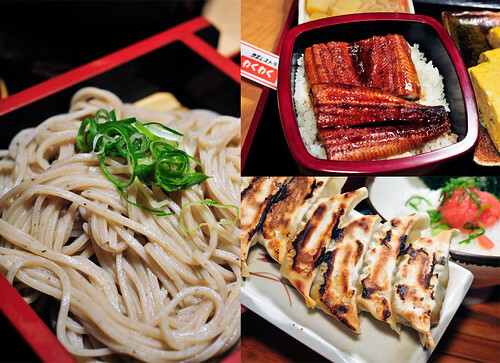 This entry was posted on March 23, 2011 by Alan (travellingfoodies). 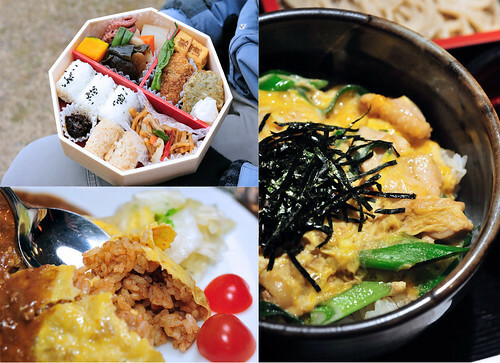 It was filed under Food, Travel and was tagged with keihanshin, 京阪神. gosh your photos are just killing me! the vibrancy of color and everything else about them look so fabulous! 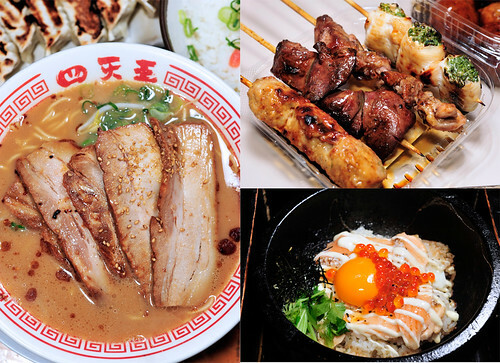 and of course the thing that does it in for me are the FOOD pictures. you had a lot of desserts!!!! and each one of them look delicious! Cathy: I missed Japan too! need to go back again, probably Tokyo like our first trip but it’ll probably have to be 2012 or 2013 from the looks fo it. 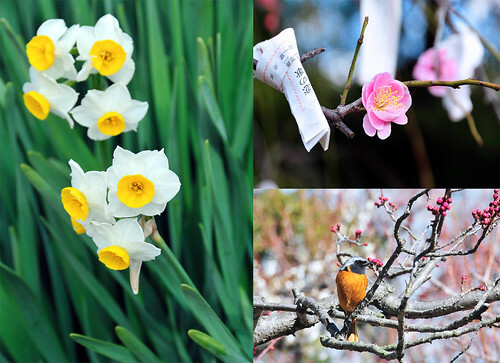 Very beautiful scenaries, I would love to visit Japan again someday it is a very beautiful country.